Can you star in another film already, Akshay Kumar and Suniel Shetty? Look who decided to catch up with old friends! 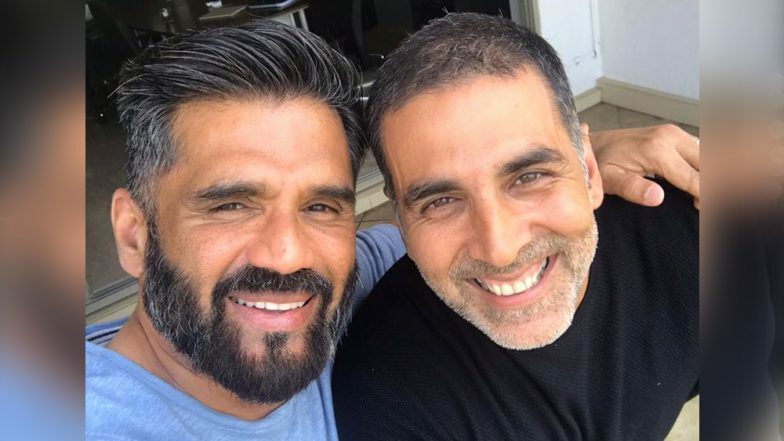 Akshay Kumar just posted a selfie with Suniel Shetty and posted it on Twitter. Not just fans but it made a lot of Bollywood celebs nostalgic, too. We have seen their camaraderie in Waqt Hamara Hai, the Hera Pheri franchise, Dhadkan, Awara Paagal Deewana and a couple of films. This picture does bring back so many memories. We are definitely going to binge watch all of their movies this long weekend. Akshay captioned the picture, “This is not a throwback but takes me back to so many. As always was lovely catching up with one of my oldest friend and co-star @SunielVShetty today”. Ever since he posted the picture, fans are craving to see these two in a film again. A lot of them have even requested for Hera Pheri 3. Riteish retweeted the tweet and said, “Waqt tumhara hai” with a heart emoji while Arjun is wondering why Babu Bhaiyya is missing from the picture. He writes, “Raju aur shyam !!! But where’s Babu bhaiya ?? ?” This picture will definitely get all 90s kids all emotional since we have grown up watching their films. Dhadkan was another film where the audience loved them the most, though Suniel stole all the limelight with “Main Tumhe Bhool Jaaun Yeh Ho Nahi Sakta Aur Tum Mujhe Bhool Jaao Yeh Main Hone Nahi Dunga“. 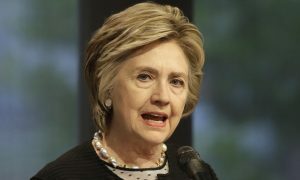 Check out the tweets right here. Fans desperately want these two to come back in a film together and so do we. What are your thoughts on this? Tell us in the comments below and stay tuned with us for more.